The one word I would use to describe Matt and Stuart is 'colorful.' To begin with, they both have incredibly vibrant personalities, which translated to vibrant colors throughout every element of their wedding. 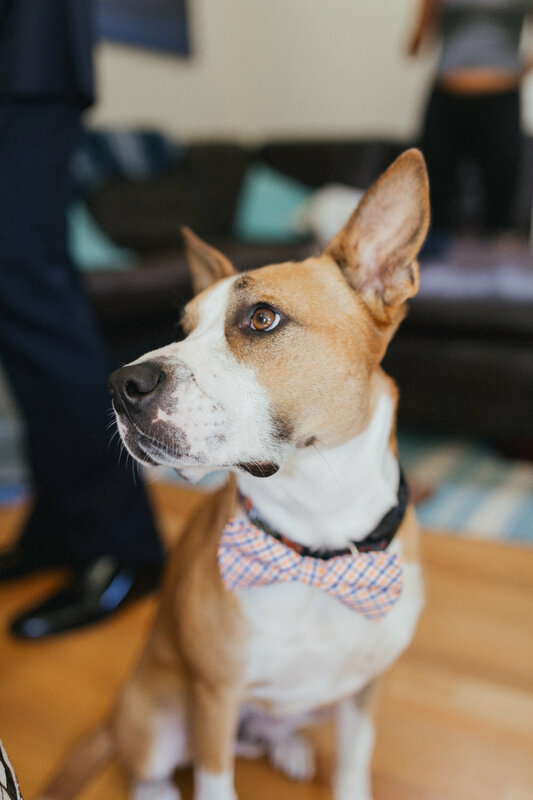 Guests showered them with brightly-colored rose petals as they exited the ceremony and their wedding colors were orange and aqua (a bold, but beautiful combination), which were displayed in the flowers, bridesmaid dresses, table decor, wedding cake, and even the bowtie for their ringbearer (their dog, Wyatt!!). Matt and Stuart may have had a foggy day for their pictures, but as you can see below, the fog actually creates much more dramatic and romantic photos than you may get on a sunny day. 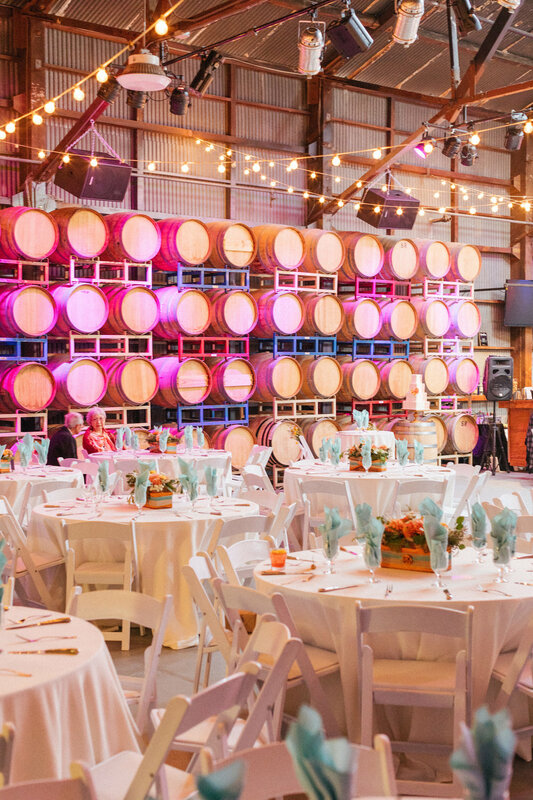 Their wedding venue, The Winery on Treasure Island, had a beautiful indoor warehouse-type space that guests could retreat to for the reception, where they danced the night away to one of my favorite live wedding bands, The Lucky Devils. 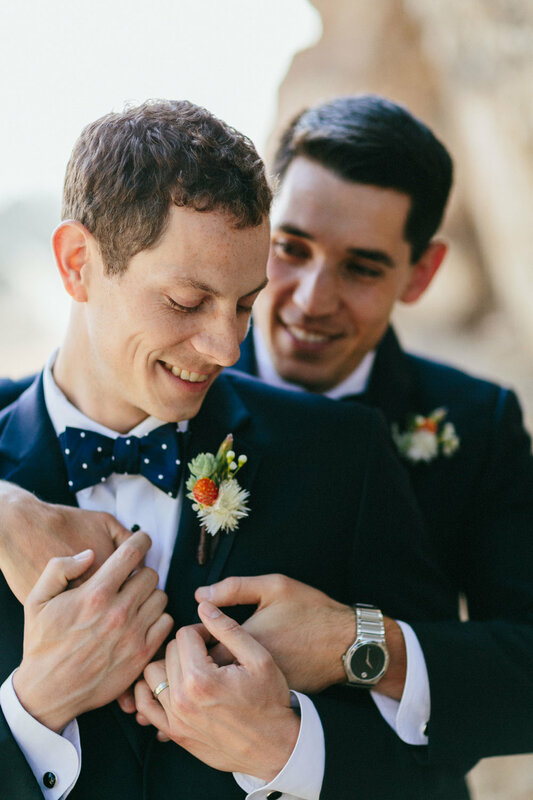 "Hiring Amy at Hitch Perfect was by far the best decision we made for our wedding."